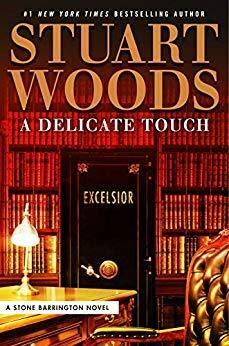 A Delicate Touch (2018) is volume number 48 of the Stone Barrington novels by The New York Times bestselling American author Stuart Woods. I enjoyed this fast reading book and recommend it for your reading list. Click on the links to learn more about the author and his many books. "Stone Barrington uncovers a societal minefield in the exhilarating new adventure from #1 New York Times-bestselling author Stuart Woods. With this explosive information in-hand, Stone Barrington is caught between a rock and a hard place, his only options either to play it safe to the detriment of others, or to see justice done and risk fatal exposure. But when it comes to Stone Barrington, danger is usually just around the corner... so he may as well throw caution to the wind. " Sounds like an interesting read for avid book worms everywhere, Roy. I hope you have a good week! Roy, sounds like another good book to put on my list of those to get. As a New Yorker, this is a book I'd enjoy reading, Roy, and am putting it on my ever-growing list. Thanks for the recommendation, Roy. 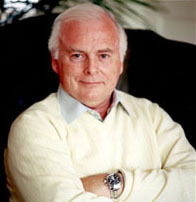 I've always enjoyed Stuart Woods' novels.